Author: Ajoy Datta, Research Associate, Overseas Development Institute, worked on the VakaYiko programme, coordinated by INASP. Ajoy is an expert in improving policy influencing and decision making practices. The VakaYiko Consortium aimed to strengthen the use of research evidence in policy making in Ghana, South Africa, Uganda and Zimbabwe. 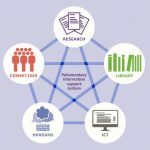 The project ran between 2013–2017 and was funded by the UK Department for International Development under the Building Capacity for Use of Research Evidence (BCURE) programme. This post is the second in a series of posts on new approaches for organizational change. Lots of work has been done to improve policymakers’ use of evidence both in developed and developing countries. However, in my view many of the current approaches to doing so, though well-intentioned, can be problematic. 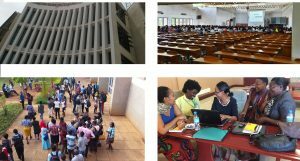 The VakaYiko programme team tested new approaches to identify what works best for building capacities in complex environments. 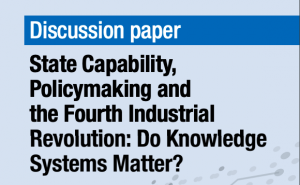 One of these approaches was to test a way of developing capacity for improved evidence use in Zimbabwe’s Ministry of Youth that takes more seriously the complexity often referred to when tackling development problems. Current approaches to developing capacity for evidence use tend to focus on individuals (who are seen as autonomous and rational) at one end of the spectrum and organizations (which are seen as separate from individual and have a mind of their own) on the other. This sees an emphasis on training of individuals and bringing in knowledge brokers as well as interventions to change organizational culture and practices, often through tools and check lists. Another assumption is that change tends to happen if it is planned for. This sees an emphasis on the development of plans and strategies, which do not always take into account the multiple ways in which evidence might be put to use, and often become irrelevant as the context changes over time. The only alternative is strategic opportunism to take advantage of critical junctures (crises and shocks – such as Brexit – which lead policymakers to question long held assumptions about how policy might be developed, what is perceived as evidence, and how it might be used). What these approaches miss are the myriad informal and formal groups that make up an organization and the day-to-day activities that these groups engage in. These include formal and informal conversations and the politics that shapes these, that make up the fabric of life within a government (or any other) institution. Informed by the work of Ralph Stacey and Chris Mowles (professors who run a Ph.D. programme in ‘Complexity and Management’ at the Business School at the University of Hertfordshire) and influenced by the American psychologist, John Dewey, we suggest that paying attention to the quality and nature of what’s happening between officials within groups can be transformative. The approach we used centred on helping members of the group to understand how they were working together in the ‘here and now’, what they were grappling with in their daily work, the dilemmas they were facing and how they might improve their use of evidence as a resource in their work. What did we do to encourage people to reflect on their relationships with one another and their use of evidence? There are no ‘recipes’ to develop capacity for evidence use, but there are some simple techniques. Group discussion can disrupt the informal, mostly one-to-one ‘gossip’ that people engage in by bringing such discussions out of the shadows and into the light. Discussion can lead to an exchange process in which something new can emerge and improve communion amongst groups. 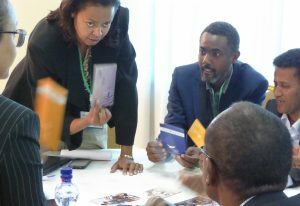 In Zimbabwe, group discussion amongst officials from national and regional offices, although uncomfortable at times, helped raise awareness about how periodic reporting processes could be improved. Storytelling is one of the oldest ways of communicating. In Zimbabwe, staff were asked to develop and share stories about recent situations where they were part of a conversation, meeting or set of circumstances, which they wanted to understand better. What emerged revealed the variety of work that officials were involved in, the role of hierarchy in constraining and enabling what they could do, as well as the conflict they encountered with senior management. This in turn spurred discussion about how evidence might be used as a resource to improve the way in which arguments are presented to senior management. Live scenario planning facilitates reflection. 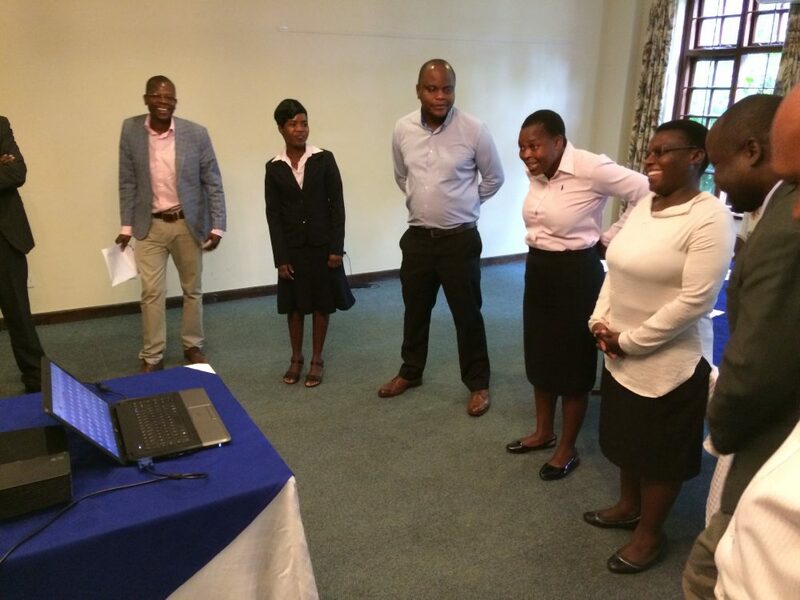 In Zimbabwe, staff explored scenarios (through discussion and role play), following up on the stories told (above) including how they might interact differently with senior managers and how evidence might be used as a resource to do so. Other participants took up the role of film directors – stopping the action when necessary and providing advice on how, for instance, group members might go on differently. This improved participants’ approach to making a case to senior management about ensuring coherence around youth development policy. The general aim of these techniques was to support the group to explore how they might practice using evidence more skilfully and creatively. 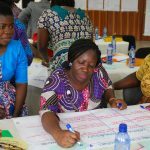 The absence of a conventional capacity development approach may lead to some anxiety amongst participants and facilitators. But it might just have led to more substantive and sustainable change. 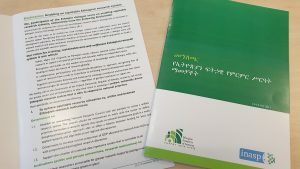 If you want to know more about our approach as well as about the outcomes that emerged and the lessons we learnt, please read the learning, reflections and innovations paper. Which approaches have you used to develop capacity for evidence use in your or other institutions? Let us know in the comments.